OnePage is a fully responsive template designed with the purpose of being the simplest and easily customizable onepage multipurpose on the industry today. It is modern, creative, and clean with lots of options for you to produce any kind of website you may require, whether it is corporate and business etc. This template is a well-ordered, responsive, and retina ready one-page theme. The best thing about this template it is free. It is a trending theme that is designed on Bootstrap front-end framework. 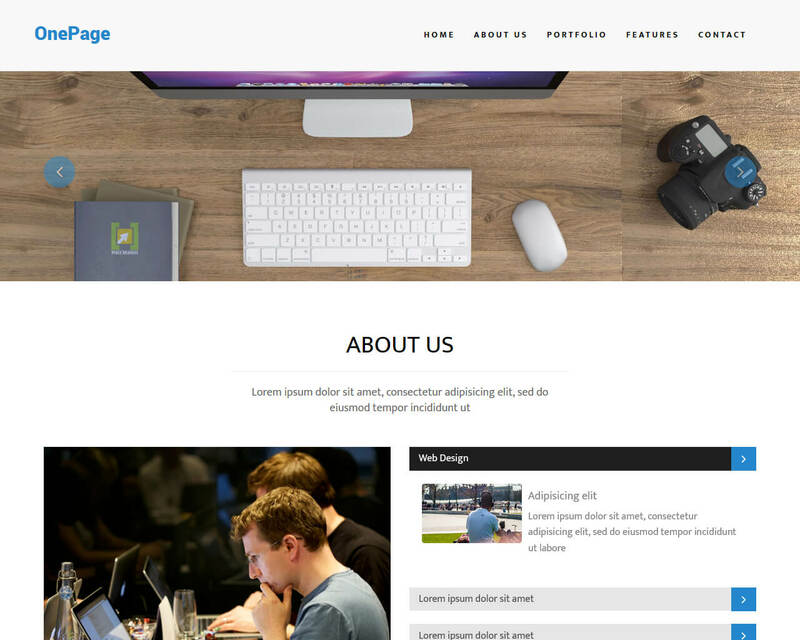 The layout of OnePage is very responsive and flexible. Big image, call-to-action buttons, parallax effect with the right amount of animation. You will love this template even more once you discover all the features it offers. With the various sections to showcase your business in-depth, your visitors will surely take their orders.